Inspiring adventure through travel. Join me for hiking, scuba, nature, luxury experiences, spa and wellness. Located on the north side of the island overlooking the Atlantic Ocean, Luquillo is approximately 30 minutes from the airport in San Juan. In additional to spectacular golden sand beaches, Luquillo offers a wide variety of dining options with these incredible views. Food tastes better with an ocean view, and one of the best stretches of beach in Puerto Rico is in Luquillo. Located on the north side of the island overlooking the Atlantic Ocean, Luquillo is approximately 30 minutes from the airport in San Juan. The soft, golden sand beaches stretch over 12 miles of coastline, offering sections that are clear and calm, while others are perfect for surfing and kiteboarding. 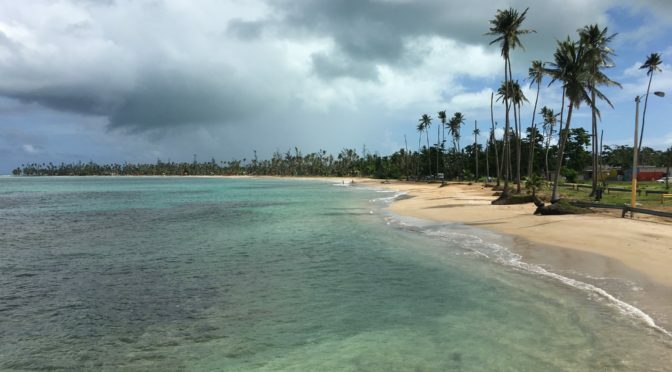 The six sections of beach are broken down as Mameyes Beach, Playa Fortuna, Luquillo beach, Balneario Monserrate, Playa Azul, La Pared Beach, and La Selva Beach (from West to East). Whatever your beach preference, make sure to enjoy lunch at least once in Luquillo.